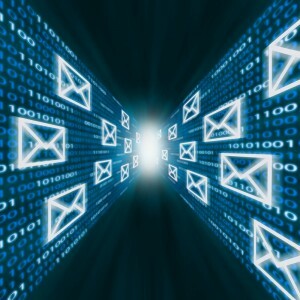 When it comes to corporate email, IT administrators have quite a challenge. They need to find the right balance between protecting employee privacy and monitoring electronic communications for signs of bad behavior. Likewise, employees have to respect the company’s rules for communicating, and use good judgment when sending and receiving emails. This can all be quite tricky – especially for companies with many employees – since IT administrators can’t read every email. GFI MailArchiver® features MailInsights®, a set of business intelligence reports that can help you make sense off all those emails without having to analyze every one of them. MailInsights enables authorized personnel to monitor employee email for inappropriate behavior or wasted time during work hours. A lot can be extracted from emails. After all, much of today’s communication is done via email. Furthermore, lack of a proper email archiving solution can place unnecessary stress on your email infrastructure and possibly expose your company to legal problems. MailInsights reports can be generated on a schedule, with each report sent to your inbox as a PDF attachment. It is possible to define the frequency with which you want these reports to be sent (e.g., daily, weekly or monthly). All of these reports start with a short summary to clearly identify the top drivers, and most have a chart to illustrate the data within it. There is also a comprehensive table with all the details of the report. Now that you have this basic understanding of the MailInsights reporting tool, let’s dive in with the first of three brief but informative blog posts. The remainder of this first post explains how GFI MailInsights gives you greater visibility into the high volume of emails that your company sends and receives. Understanding who an employee emails is extremely important. This can be achieved with the communication flow report, which displays a chart that easily identifies the key people a user communicates with. Below is an example of the chart. 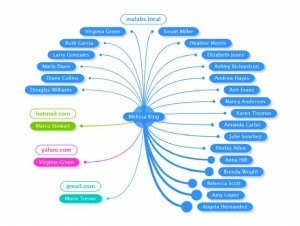 The node in the middle is the employee (“Melissa King”) whose email habits are being analyzed. The nodes in blue along the perimeter represent King’s top communication points. The thickness of the node connectors indicates the number of emails sent and received. With this chart, we clearly see King’s top communication points, and whether they are third parties, personal email addresses of the employee or internal recipients within the company. This insight is valuable. Let’s say King resigns from the company. With this reporting tool, it’s easy to identify who she was doing business with in the past few months – ensuring the company can move on in her absence. Be sure to check back soon. MailInsights can do much more – and the second blog post in the series will touch upon other important reporting tools. Ian Bugeja joined GFI in 2006 as a software developer, after reading for an honours degree in IT. With a broad knowledge of software development Ian worked on GFI MailEssentials, GFI MailSecurity and GFI MailArchiver. 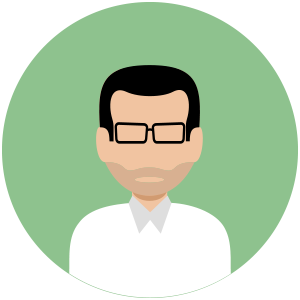 Currently Ian is the Product Manager for both GFI MailArchiver and GFI MailEssentials and oversees the vision of both email products for GFI.